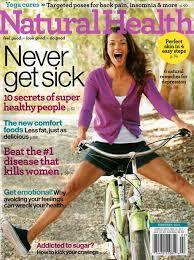 Did you know that you can sign up for a free one year subscription to Natural Health Magazine. This free digital subscription is provided by JudysHealthySnacks. You will never receive a bill and you can read your Natural Health issues on your computer, iPad, or any Zinio enabled device.